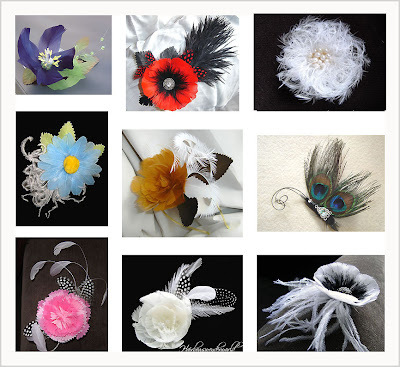 Here is another hair accessories collection of mine : JUST FEATHERS. The flora world is imitated with many types of feathers. I love how delightful and colourful it looks yet the flowers are still delicate. 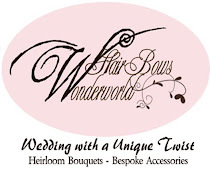 These so versatile hair flowers will be great for bridesmaids or even for brides, but also do very well for a daily wear. When/if I get married, lady, you are going to design mine :D Real flowers are overrated when there are lovely bouquets like this.